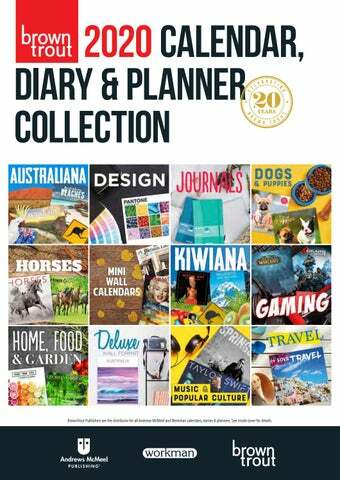 BrownTrout Publishers are the distributor for all Andrews McMeel and Workman calendars, dairies & planners. See inside cover for details. we recognise and amplify original world class talent to entertain and inspire our fans of all ages. Our best-selling titles include Dilbert, Johanna Basford, Peanuts, Thomas Kinkade and Mary Engelbreit. 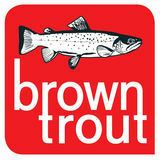 PLEASE CONTACT YOUR BROWNTROUT ACCOUNT MANAGER TO ORDER YOUR 2020 AMP CATALOGUE. Workman calendars boast expert authorship, a wide-ranging and entertaining variety of subject matter, and uncompromising design and production quality. Bringing together energetic, authoritative content; hundreds of gorgeous full-color photographs and illustrations; and themes that speak to people’s passions. Over forty years, over 200 million copies in print, and still an energetic, innovative, pleasure-giving, and bestselling calendar publisher. We’ve created popular formats including the Page-A-Day Boxed Calendars, the Page-A-Day Gallery Calendar, and now the Page-A-Week Gallery Wall Calendar. We’ve built beloved brands—1,000 Places to See Before You Die and Sandra Boynton’s Mum’s Family Planner & Diary. 2020 list that is: A trove of bestselling backlist (with perennial gems and must-have core titles like The Original Sloths, 365 Cats, and Today Is Going to Be a Great Day!). Over 40 years of fierce creativity, dedicated craftsmanship, and unwavering integrity equals 40 years of customer and retailer loyalty and sales success. Here’s to many more. PLEASE CONTACT YOUR BROWNTROUT ACCOUNT MANAGER TO ORDER YOUR 2020 WORKMAN CATALOGUE. BrownTrout Publishers & Steve Parish: COLLABORATING to produce A UNIQUE AND HIGH QUALITY range of Australiana and well-being calendars for 2020. Steve Parish has been capturing images of Australia’s people, places, and wildlife for more than 50 years and was awarded an Order of Australia for his services to publishing. Photographer, Publisher, Teacher, Writer, Naturalist and Digital Artist, Steve is a passionate and highly motivational speaker and one of the few Australian photographers who can look back over fifty plus years of photography working across a vast range of social and natural history subjects. Since the age of sixteen, he has shared his work with the Australian community through thousands of publications, talks, exhibitions and public events. His life’s work has been to inspire people of all ages to consider the life benefits of nature connection for mental, physical and spiritual well-being. STEVE PARISH NATURE CONNECT Our BrownTrout Australiana Collection, including titles by Steve Parish, can be viewed on pages 30 â&#x20AC;&#x201C; 35 of our catalogue. FINE ART PHOTOGRAPHY Inspiring images and quotes connecting nature with human spirituality and mindfullness. 30 YEARS AND GROWING STRONG For nearly 30 years, Brush Dance has been creating mindful calendars by combining the works of independent artists and photographers with the wise words of teachers, poets, and writers. Brush Dance believes in embracing joy, inspiring hope, cultivating love, building intimacy, celebrating life, and living mindful days. With great joy, we are happy to announce that after many years of being an independent publisher of inspirational calendars for worldwide markets, Brush Dance begins a new future with BrownTrout Publishers, Inc., which has acquired Brush Dance with a commitment to continue the integrity and quality of the brand beginning with 2020 calendars and going forward. The titles and artists will be retained wherever possible with participation by many of the same people who made Brush Dance so successful. PLEASE SEE OUR 2020 BRUSH DANCE CALENDARS AND DIARIES ON PAGES 6 & 62 OR CONTACT YOUR BROWNTROUT ACCOUNT MANAGER FOR FURTHER INFORMATION. Please note some 2019 covers shown. All titles pictured are subject to licensing approval, change or cancellation. All dimensions provided are subject to change. Attractive and strong cover material, in various styles, on front and back covers, with rounded corners. High-quality and sturdy wire-o twin ring binding for ease of use. Printed on fine quality white writing paper, with plenty of space and scheduling freedom. Removable product sticker on cover, featuring planner details and retail price. 20 21 22 23 24 25 26 Space Saver 27 28 29 30 31 January 2019 To save space on your monthly calendars, use symbols instead of writing things out in full. Fo Feb 2019 5 instance, 6 a dollar sign ($) to indicate payday or an sunday use s m asterisk T W T F s (*) to indicate a birthday. Monthly View Each monthly tab contains a monthly view, which includes your Master Project List, Sharpen the Saw™, Roles and Goals, and a full-month calendar. calendar The monthly calendar gives you an entire month at a glance to note milestones, help judge timelines, and provide a reality check. Note major events, birthdays, and anniversaries, as well. Notes Instead of spreading bits and piec daily notes, record major project in of your planner. Schedule Time for Yourself Even if you are the only one involv appointment schedule. This ensur projects. Colorful Reminders Highlight your “A” Prioritized tasks colorful marker to make sure you that must be finished that day. Free Space Use the open space throughout the planner for notes, drawings, plans, ideas, doodles, data— or whatever you choose! roleS and GoalS Relationships fuel our social existence. Set four relationship intentions each month from within your family, friend, community, and career circles. Examples: Set a date night with your spouse. Take a new colleague to lunch. Invite your neighbors over. ter p In et u ? Travel Tip Monthly Master Project list If you travel a lot, use a specific color to highlight complete or partial days on the monthly calendar when you will be working in another place. The consummate FranklinCovey Planner user will see familiar planning pieces and parts in the Better Balance Planning System. Use this step-by-step guide to help you achieve what matters most. Space Saver To save space on your monthly calendars, use symbols instead of writing things out in full. For Monthly Master Project list instance, use a dollar sign ($) to indicate payday or an asterisk (*) to indicate a birthday. Colorful Reminders Highlight your “A” Prioritized tasks on your daily task list with a colorful marker to make sure you don’t forget any items that must be finished that day. Notes Instead of spreading bits and pieces of information about a project or conversation across your daily notes, record major project information all in one place on your notes pages in the back of your planner. Sharpen the Saw To be your best, take time to renew each month. Set aside time for renewal so you can return to activities and responsibilities refreshed and ready to do your best. Set simple intentions each month. For example: Body Go for a walk daily. heart Connect with my siblings. Mind Write in my journal every day. Soul Read an inspiring book. Monthly MaSter project liSt Based on your goals, list all the related projects you want to accomplish, or make progress on, this month. Carry over unfinished projects from the previous month, as well. Schedule Time for Yourself2 2 Even if you are the only one involved in a project, block out time for the project on your appointment schedule. This ensures that other projects won’t steal time from your own 3 3 3 projects. Annual Planners Summary Annual Planners with contemporary functionality, featuring both fashionable and executive cover styles include daily, weekly or monthly planning pages in two popular sizes for all your planning needs. Includes space for flexible scheduling, prioritising, important dates and notes, plus monthly calendars for planning ahead. Premiere versions feature monthly tabs. The Better Balance Planning System includes: •	January 2020 through December 2020. Perfect for busy planners and professionals. •	Daily, weekly or monthly planning system pages organise scheduling and daily plans, to-do’s, and notes. •	Monthly calendar makes it easy for scheduling big-picture plans. •	Each month is tabbed to quickly flip to any date in premiere versions. Past and future month reference calendars are also included. •	Sturdy Wire-O binding. * Classic+ has a slightly larger page size than the traditional FranklinCovey Classic size. The Classic+ page size is 16.51 x 22.86cm, which is 2.54cm wider, and 1.27cm taller than the FranklinCovey Classic format. A Company Built On Culture FranklinCovey is the world leader in helping organisations achieve results that require lasting changes in human behavior, often the most difficult challenge any organisation faces. When accomplished, it is also the most durable competitive advantage. They provide content, tools, methodology, training and thought leadership, all based on a foundation of unshakeable principles and proven practices. Their ultimate aim is to deliver not just incremental, but transformational results. Their expanding reach now extends to more than 150 countries, with over 2,000 associates working toward our common mission of enabling greatness in people and organisations everywhere. Pantone is the world’s most powerful and influential brand in colour. Pantone™, the world’s most powerful and influential brand in colour, embodies passion, flair, and elegance. BrownTrout is proud to launch these characteristics into the world of compact planners. Annual Planners come in two sizes - Compact and Mini - and in five carefully curated trending colours. Both the Compact and Mini Planners, as well as a non-dated Journal are also available in the Color of the Year. Covers are rugged yet have a pleasing, soft-touch coating, and a pocket in the back is filled with fun, Pantone-inspired colour chip stickers to be used inside, or to frame the real world in a vibrant, more colour coordinated way. Pantone also offer three ‘52 Weeks of the Year’, wiro bound Desk Planners and four additional Journal colours. The Color of the Year is one moment in time that provides strategic direction for the world of trend and design. BrownTrout and Pantone have partnered to bring Pantone-inspired Fashion Planners to retail, available in three popular formats. Contact your Account Manager for more details. This non-dated format provides a full year of weekly and monthly views without dates. Write in your own dates so you can start planning at any time! Compact – 13.33 wide x 20.32cm tall. 160 pages. Compact Mini – 10.16 wide x 15.24cm tall. 160 pages. 13.33 wide x 20.32cm tall, 160 pages. Features weekly and monthly planning pages, journal pages, smooth writing paper, sturdy cover board with soft-touch laminate, matching bookmark ribbon, elastic closure, expandable pocket with stickers. Product information on wrap-around belly band, poly-bagged. Pocket includes stickers provided in four Personal Palette sheets with 70 stickers each. Colour chip stickers can add colour to Pantone Fashion Planners, or be used to coordinate wardrobe, interiors and exteriors, or wherever one feels the inspiration to add colour and vibrancy. 10.16 wide x 15.24cm tall, 160 pages. Features weekly and monthly planning pages, journal pages, smooth writing paper, sturdy cover board with soft-touch laminate, matching bookmark ribbon, elastic closure, expandable pocket with stickers. Product information on wrap-around belly band, poly-bagged. Pocket includes stickers provided in four Personal Palette sheets with 40 stickers each. Colour chip stickers can add colour to Pantone Fashion Planners, or be used to coordinate wardrobe, interiors and exteriors, or wherever one feels the inspiration to add colour and vibrancy. Busy people on the go can rely on this striking “52 Weeks of Pantone” desk planner to stay organised all year long. Measuring 15.24 x 19.7cm, it opens to reveal spacious weekly spreads to write appointments and to-do lists—each framed in a specially chosen Pantone hue and accompanied by a three-word description of the emotions evoked by the colour. A plastic cover protects the planner, and the sturdy pocket in the back can be used to store receipts, business cards, and more. Bonus feature: includes fun, colour-chip stickers representing the full palette of the 52 shades inside. Use them in the planner…or wherever one feels the inspiration to add colour and vibrancy.